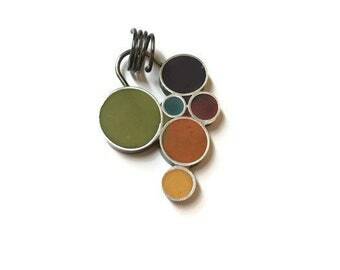 One mismatched pair of funky earrings = four combinations for your ears, and four pendants! These fun earrings are made from Sterling Silver wire that has been forged into wonky circle shaped bezels; the bezels are then filled with hand-tinted resin, which is then sanded for a matte finish. The resin is opaque with a few flecks of colorant for a bit of visual texture. 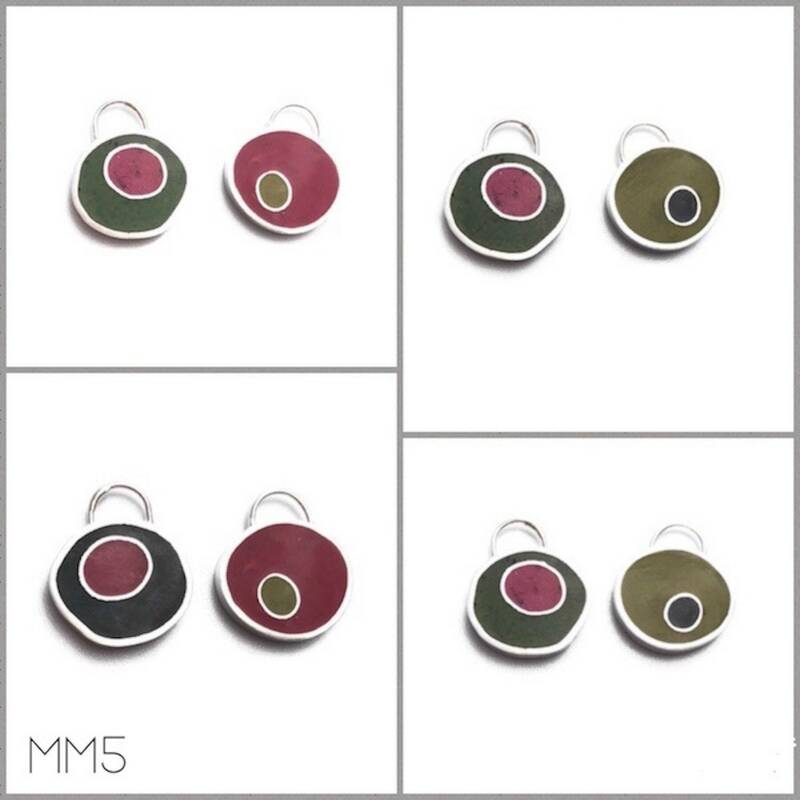 Each earring has 2 colors on each side and can be paired up however you'd like. When they are not adorning your ears, and earrings can be converted to a pendant (to put on your chain), by changing the ear wire to the included bail (slide)...see the last photo for an example. So many choices! The listing is for one pair of earrings. Please keep in mind that they will be made to order, and will not match the photo perfectly, but they will be pretty close. 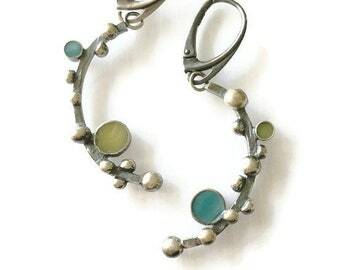 They are shown shiny but can be ordered with an oxidized finish as well. Sizes are approximate, as they are not perfect circles. 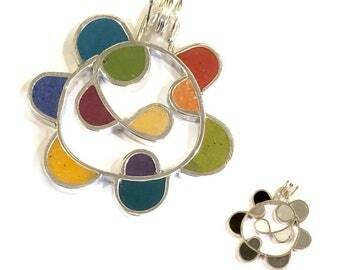 See the Baubbly shop for more color combinations! Wholesale inquiries are welcome! Convo me for details. These are beautiful and so fun to be able to reverse them! It's an ingenious idea! I highly recommend these great earrings! Beautifully made and so unique. I accept Paypal and credit cards, as well as Etsy gift cards. Buyers shipping to Illinois will be charged 8% sales tax. Before purchasing, please understand that everything in my shop is a handmade, one of a kind piece. As such, it may have rustic characteristics; I would be happy to send you additional pictures of a particular item to help in your decision. Any shipping costs incurred will not be returned. In stock items will ship within 2 business days. Made-to-order items take longer, depending on the item (please see item descriptions for more details). The default shipping method for items under $100 is USPS first class, with an upgrade option available; Priority mail is the default over $100. I try to recycle as much as possible, and that includes shipping materials. If you would prefer new, I'm happy to oblige...just send a note with your order. I stand behind my workmanship...please contact me if an issue arises with your piece.